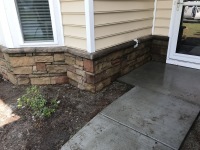 Myrtle Beach Stone and Masonry proudly serves the Myrtle Beach area offering complete customer service for your home or business. Are you working in your yard? We can help. By providing yard and garden curbing, new sidewalks and sidewalk repair, cement patios and concrete repair. South Carolina Winters can get cold - add a fireplace or fire pit to your yard and warm your guests up while you socialize outside. After the yard is looking the way, you want it, how about working on your driveway? 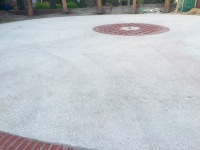 From fixing your existing driveway to starting from scratch with a new one. Tired of the dull siding of your house? 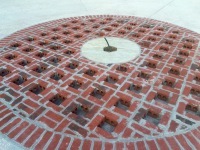 Add a brick or stone look for a fraction of the cost of real stone and brick. Make your house look brand new with 100's of exterior options. 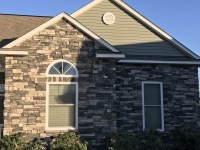 Myrtle Beach Stone and Masonry can get the outside of your home looking great! Time to move into the house, change the look and feel of your fireplace opening up a whole new look to your living room, kitchen or bedroom. Why paint! Let us turn the walls in a way you never thought possible. Give the room a brick feel or even stone. 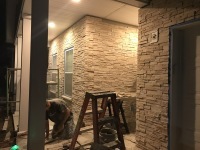 Unlimited ideas are here with Myrtle Beach Stone and Masonry. Call us today for a free estimate.